Flooring that looks great, feels great and requires little to no maintenance. 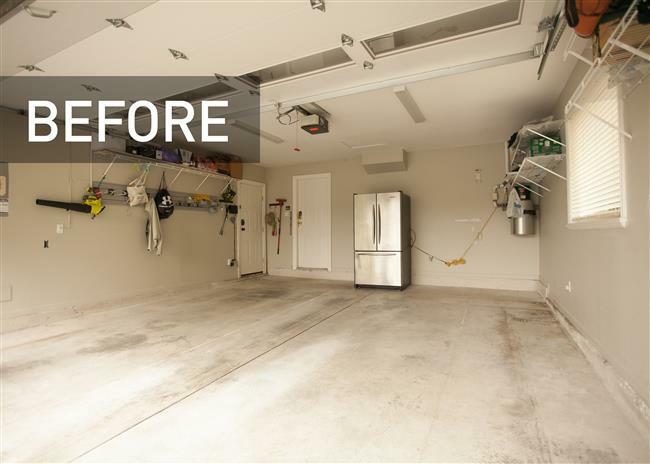 The garage floor can often be a detail that is overlooked but plays a significant role in how you experience your garage space. 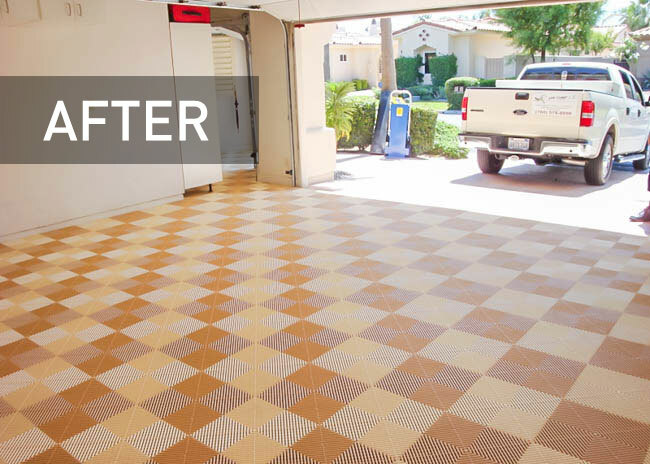 Just like the flooring in your home, the flooring you choose can completely change the experience of your living area from its appearance and mood to the function and amount of maintenance it requires. Introducing Swisstrax tiles, “The World’s Finest Modular Flooring”. Swisstrax tiles are perfect to enhance the look, feel and function of your garage floor. 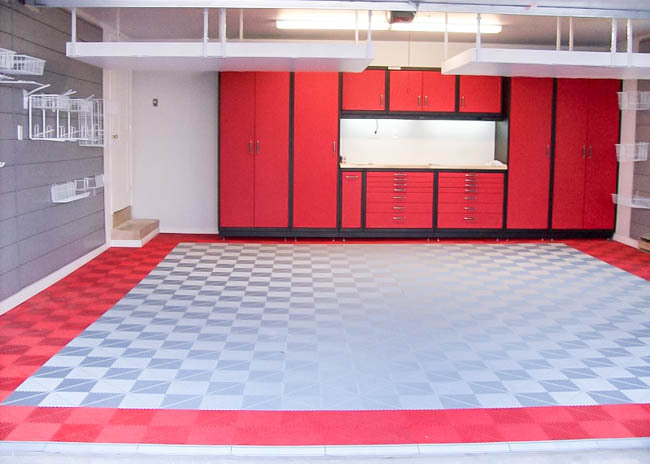 Your garage floor will be easier to maintain and clean with Swisstrax modular floor tiles. 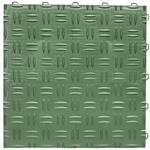 There are several styles and many colours to suit your tastes and your garage perfectly. 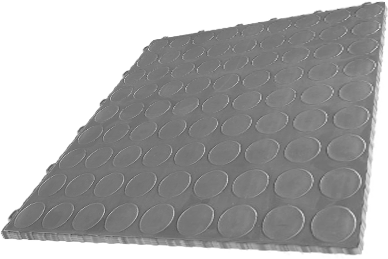 They are incredibly durable and can withstand the weight of a 6,000 lb car, in fact they can hold up to 70,000 lbs in a rollover test and have up to 5,100 lbs in compressive strength! 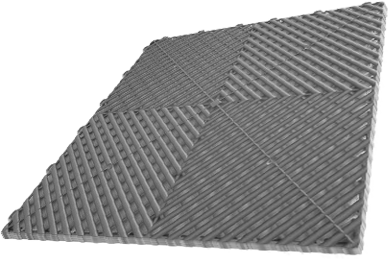 On top of all that, you can feel good knowing that the most common types of Swisstrax are now manufactured locally in BC! 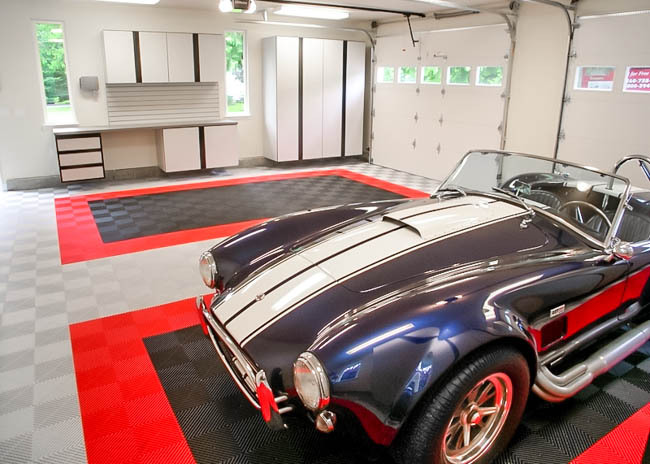 Why choose Swisstrax Garage Flooring? 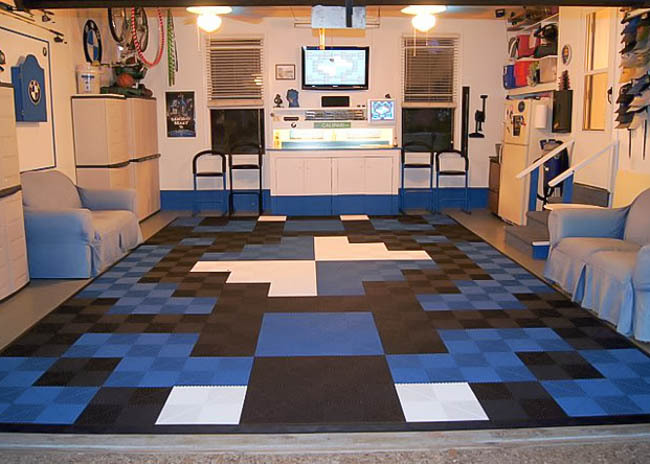 Talk with a garage flooring expert today! Ribtrax garage tile is ideal for garages, workshops, exercise or playrooms, as well as patios, terraces, or around pools. 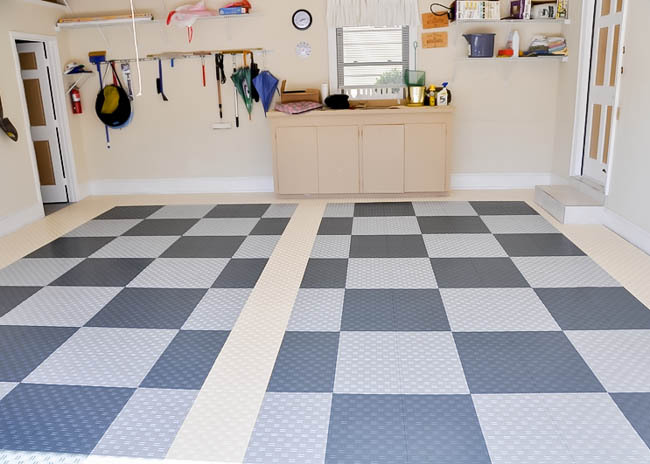 The open profile of the garage tile allows for easy cleaning. Water drains through the tiles and keeps walkways dry and safe. Whether you park your car, motorcycle, boat, or RV, this durable and attractive garage tile is practical and virtually maintenance free. 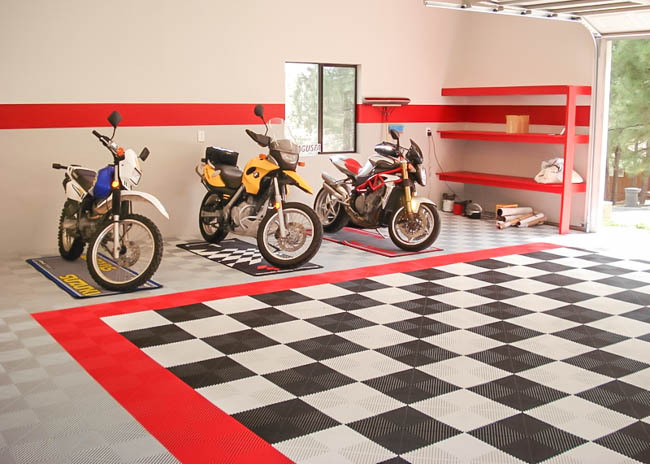 Diamondtrax garage tile is our most popular workshop and garage flooring where an attractive non-slip, solid surface is desired. 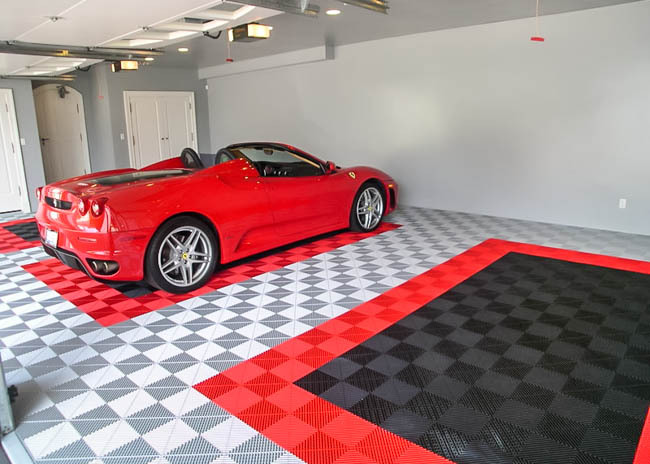 Easy to install and remove, Diamondtrax garage flooring is the perfect choice to enhance the look of your home or business. Diamondtrax is very durable and won’t chip or break. 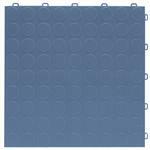 Cointrax garage tile is a popular product for garage floors and workshops where an attractive, non-slip, solid surface is desired. 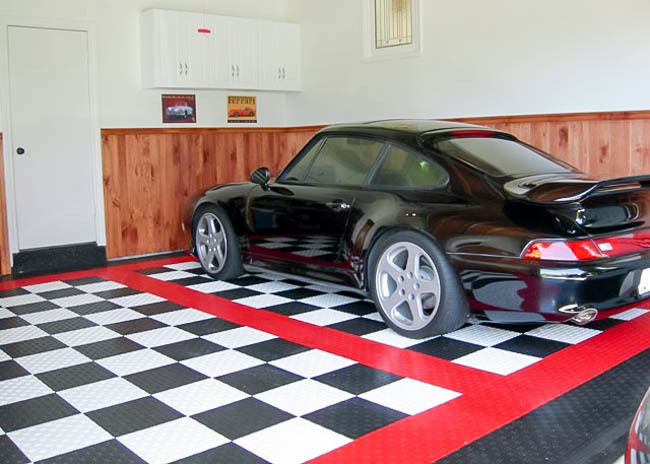 Easy to install and remove, Cointrax garage flooring is the perfect choice to enhance the look of your home or business. The smooth surface of Cointrax makes the product ideal for areas where casters are used such as chairs, tool boxes, workshops, offices, schoolrooms, showrooms, and exercise areas. Floortrax garage tile is a popular tile for garage floors and workshops where an attractive, non-slip, solid surface is desired. Easy to install and remove, Floortrax garage tile is the perfect choice to enhance the look of your home or business. The smooth surface of Floortrax garage tile makes it the ideal product for areas where casters are used such as chairs, tool boxes, workshops, offices, schoolrooms, showrooms, and exercise areas. Do I need to do any prep work on my current garage floor before installing Swisstrax flooring? 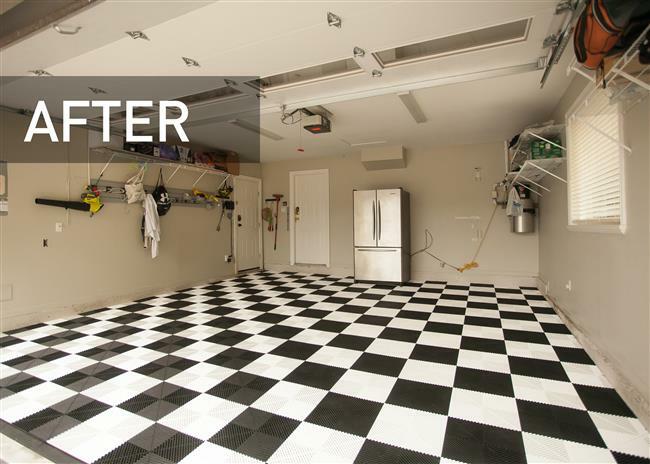 Unlike other types of garage flooring products like epoxy flooring, which may require acid washing, preparation of your existing garage floor is completely optional. You may sweep the floor or hose down the floor before installation if you’d like. What is the installation process like and can I do it myself? Installation is fairly easy and fast and you can even do it yourself if you’d like. The tiles easily snap together. Start with the pegged side against the garage door and work your way inwards from there. 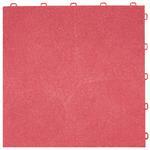 Once you get to any of the walls you may need to trim the tiles. 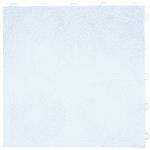 Any fine-tooth wood-cutting blade, such as on a jig saw or table saw, work well to cut the tiles. 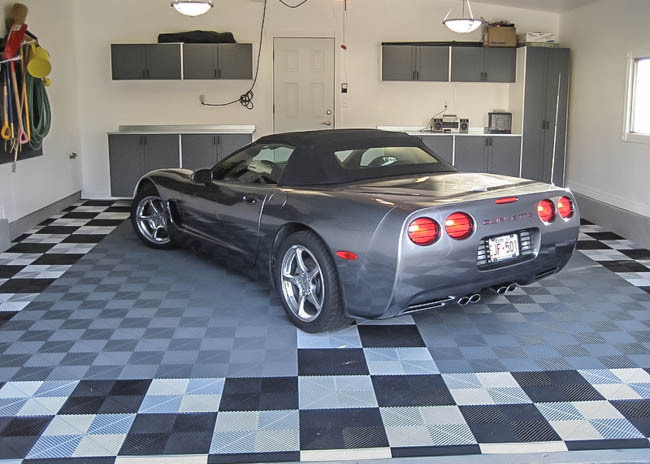 Installation of Swisstrax flooring for a standard two-car garage typically takes less than two hours. 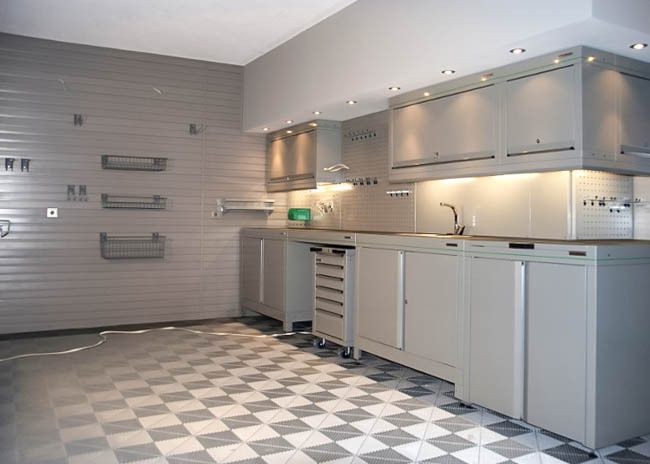 If you do not have the tools to cut the tiles or wan to save yourself the hassle, you may want to have a garage floor specialist install it for you. What's the most popular tile... Ribtrax, Diamondtrax, Cointrax of Floortrax? Out of the four types of tiles by Swisstrax, the most popular tile for garage flooring is Ribtrax. 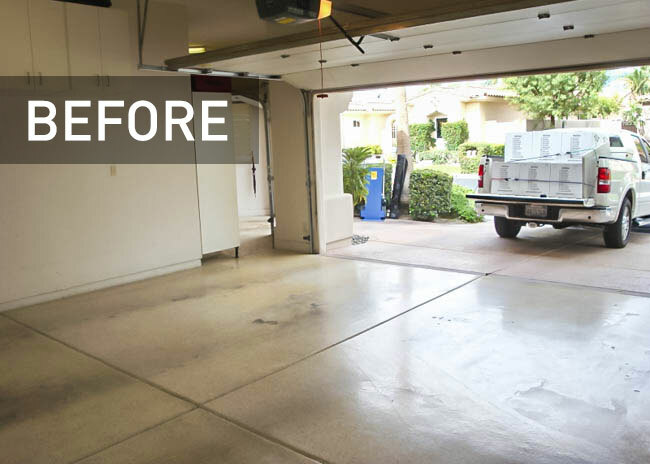 Ribtrax works well for garage flooring as it has 1/4 inch high channels beneath the tiles to allow dirt and debris to be easily washed out with a hose or even a pressure washer. What are the different ways I can clean my Ribtrax tiles? The Ribtrax tiles are a little different from the other three. 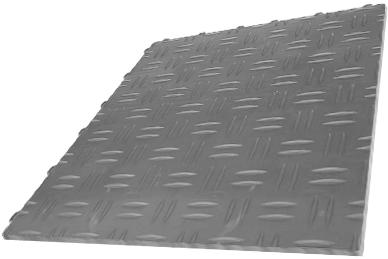 Ribtrax tiles are 3/4 inch thick and allow dirt and debris to fall into the cracks so that your garage floor surface looks and feels cleaner longer. Ribtrax tiles are made to have a 1/4 inch channel beneath them so that the dirt and debris can easily be washed out of your garage with a hose or a even a pressure washer. However, most often simply vacuuming will take out most of the dirt. If any debris gets clogged in the channels, you can simply take a flat-head screwdriver and pull up the tile. Most people do not take off the flooring to clean beneath, nor is it required, but for those that prefer to, it is not difficult to remove entire sections of the flooring for cleaning. Is there any concern for mold or mildew beneath Ribtrax tiles? 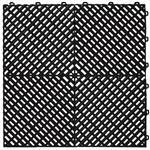 Because Ribtrax tiles breath, allowing air to flow freely through them, there is very little mold or mildew beneath the tiles, if any at all. 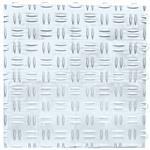 On the chance that you do get any mold or mildew under the tiles, most cleaners will work fine without damaging the tiles. 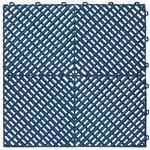 The tiles are resistant to just about any vehicle chemicals and fluids, so there is little concern about what cleaners would be ok to use. The tiles are made out of polypropylene and you can typically see what the cleaning products are able to clean by looking at the labels. 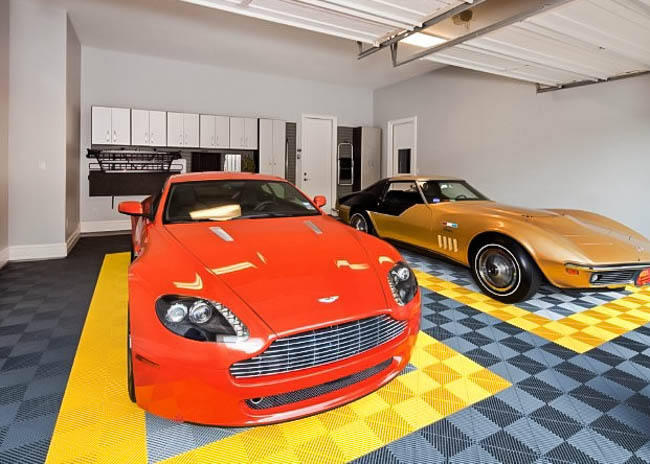 What kind of warranty do I get with my Swisstrax garage flooring? 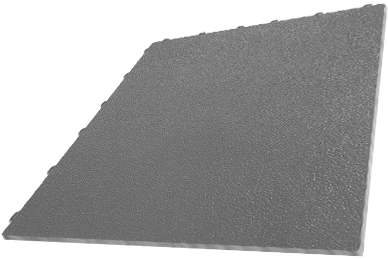 Swisstrax offers a 15-Year Limited Warranty, which covers replacement of defective parts as a result of manufacturing defective material or workmanship. The warranty applies only to the United States and Canada. 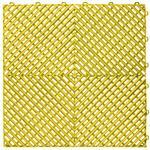 Be sure to keep box labels and proof of purchase during the 15 year period as you’ll need them if you ever have to make a claim. 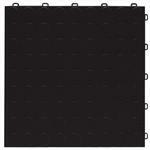 For more details about the warranty, you may download the Swisstrax warranty document.